The students of VVDAV Public School gathered for a special assembly to bid farewell to Founder Principal Mrs. Chitra Nakra on her Journey to Retirement after completing 37 glorious years of dedicated and committed service to the institution. It was a mesmerising sight to behold when the children showered rose petals on madam Principal as she walked down the corridor towards the school ground escorted by Supervisory In charges Ms Vandana Chawla, Ms Sonia Malik , Ms Kavita Diwan , Ms Anju Singh and the School council. On this occasion many junior students sang songs befitting the occasion and presented dances to express their gratitude to principal ma'am in their own way. The senior students delivered overwhelming speeches as a tribute to Principal ma'am. The students thanked her for being a true mentor and setting a benchmark too high for them, for pushing the boundaries in every endeavour undertaken by them. They said that Principal madam's towering presence has always been an inspiration and a true support for all. The students tearfully acknowledged that Principal madam has left an indelible mark on their character and her absence will be deeply felt. They promised to carry forward the values taught by her. 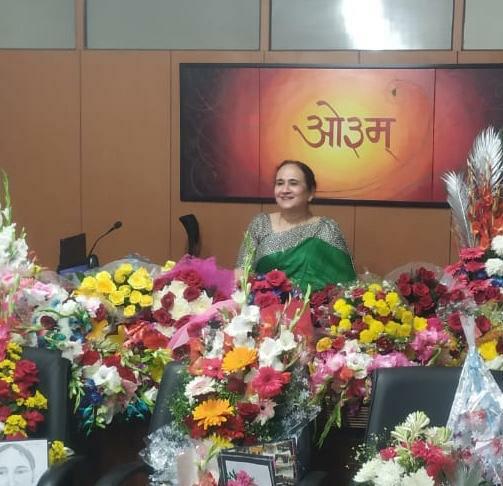 Thereafter the monitors of all classes along with their co-ordinators and Supervisory in charges presented cards and beautiful bouquets to madam and wished her the very best for a successful new journey of her life. The special assembly concluded with Madam Principal's inspirational words and her blessings to children . She exhorted the students to work hard and take the school to the zenith of glory and success .She repeated her favourite line "The Sky Is the Limit". 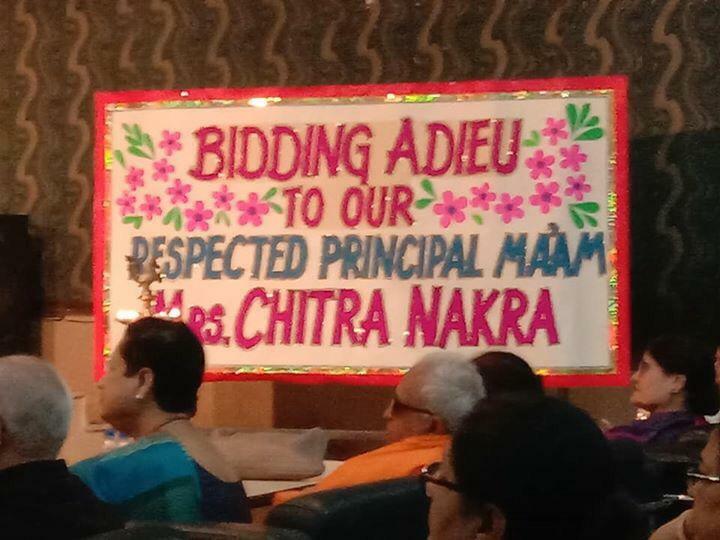 It was indeed a very emotional farewell to everyone's loving Principal Ms Chitra Nakra.